A former CIA employee was charged Monday with giving Wikileaks sensitive hacking tools developed by the agency to spy on foreign governments. WikiLeaks published the data in March of last year. “Schulte ... was the focus of an investigation into WikiLeaks' dispersal of classified CIA information. Ex-CIA engineer charged with massive leak to WikiLeaks. Schulte the fourth person to face charges related to classified leaks since Trump took office. Ex-CIA officer charged with massive leak to WikiLeaks politico.com/story/2018/06/18/cia-wikileaks-sec... ◇ View♡ 1 Like↻ Reply · What do you think? 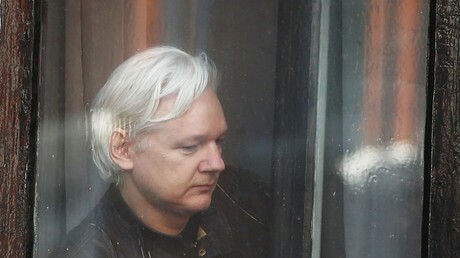 Tuesday marks the anniversary of Wikileak’s founder Assange setting foot in the embassy in central London, where he sought asylum in 2012, upon fears he could be extradited to the US and prosecuted over his role in releasing classified state documents. Amid claims by senior US officials that Assange is “engaged in terrorism”, and calls by Bob Beckel, former Hillary Clinton strategist traitor, to “illegally shoot the son of a b****”, the US has stated that prosecuting Assange is a“priority”. Some of the files released by Wikileaks include reports of unreported killing of civilians in the Afghan war, Cablegate and the Podesta emails. Assange’s Lawyer Jennifer Robinson said in February: “It is and has always been about the risk of extradition to the US. It comes as Robinson called on the UN to visit Assange to see for itself to what extent the confinement is having on the journalist’s health. The lawyer claims British authorities have clarified that were Assange to seek medical treatment outside, he would be arrested for breaching previous bail conditions. "He cannot leave the embassy because the UK will not provide assurances against extradition to the US,”Robinson said. "The UK is showing deliberate disregard for his medical needs," she said, adding that the UN should send a special rapporteur to visit the embassy. Assange was facing investigation in Sweden over sexual assault allegations. But Swedish prosecutors dropped a preliminary investigation in May last year. Robinson reminded the council how in 2016 the United Nations Working Group on Arbitrary Detention said Assange was being arbitrarily detained. The body called on Swedish and British authorities to end his "deprivation of liberty, respect his physical integrity and freedom of movement, and afford him the right to compensation". Since March, Assange has had internet and other communication channels cut off amid warnings by the Ecuadorian authorities that he is “exceeding” his right to free speech.